A Superior Court judge ruled against the Metropolitan Transit System on Wednesday, giving a property owner at the San Ysidro border crossing a major win in his long-running dispute with the agency. In 2014, MTS sued Grand Central West, the company that owns a building home to a McDonald’s right where the trolley lets off passengers at the border. The company had installed a doorway from the second floor of its building to the long-haul bus terminal behind it. MTS, which owns the terminal, said the doorway was illegally trespassing onto its property. MTS has spent $381,000 on the lawsuit, not counting what it’s spent paying the legal costs of the private company that operates the bus terminal. The terminal – which MTS spent $1.3 million to create when it seized property through eminent domain – has not gone according to plan. The company that MTS hired through a no-bid contract to run the facility spent more than twice what it expected to build the bus terminal. That cost overrun means MTS doesn’t expect to receive a dime in rent from the company until 2019. The agency had expected to collect $840,000 by then. The whole thing is a mess. 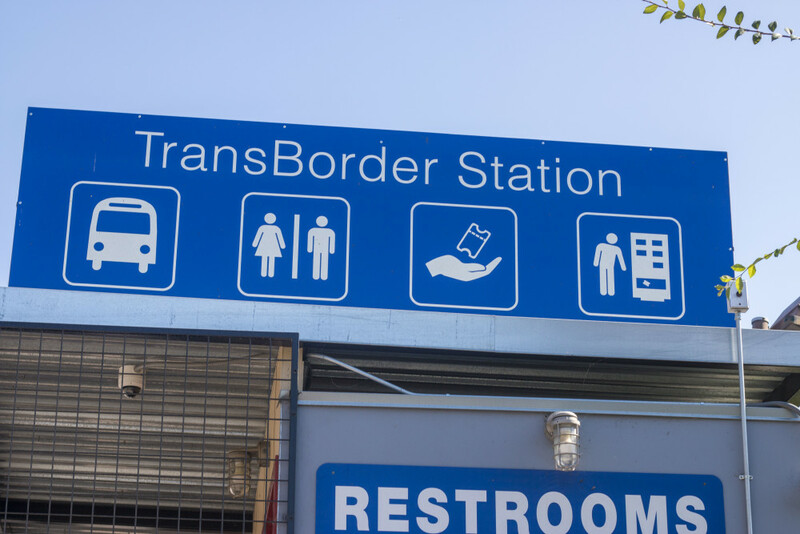 It’s one piece of the confusing jumble of trolley and local bus riders, pedestrians, drivers and people looking for long-distance buses at the border. And now, a judge has dissolved an injunction that kept Grand Central West from using the doorway to let passengers enter the terminal through the McDonald’s building. GCW installed a gate in the doorway after the court granted a preliminary injunction in early 2016, which required passengers to walk around the building and up a hill to access the terminal, rather than use the building’s elevator and walk onto the street. That gate can now come down. In dissolving the injunction, Judge Katherine Bacal said GCW has a viable route to winning the case. “In light of this, the court cannot find that MTS is likely to prevail on the merits,” she wrote. That doesn’t mean it’s over for MTS, but it is a significant reversal. MTS was so confident in its position that, just months ago, the agency’s attorneys told their counterparts for GCW that they didn’t even pass along a recent settlement offer to the MTS board of directors for consideration. “MTS’s staff has already thoroughly vetted this matter with and received clear direction concerning this case from MTS’s board,” MTS attorney Matthew Liedle wrote in a letter in September. “Frankly, GCW’s terms were not well received, especially considering the facts in the case, GCW’s clear trespass activities and the court’s already imposed preliminary injunction,” he wrote. In an email, MTS spokesman Rob Schupp declined to comment. Steve Padilla, a GCW consultant, said the company makes no presumptions on the outcome of the case due to the judge’s ruling.